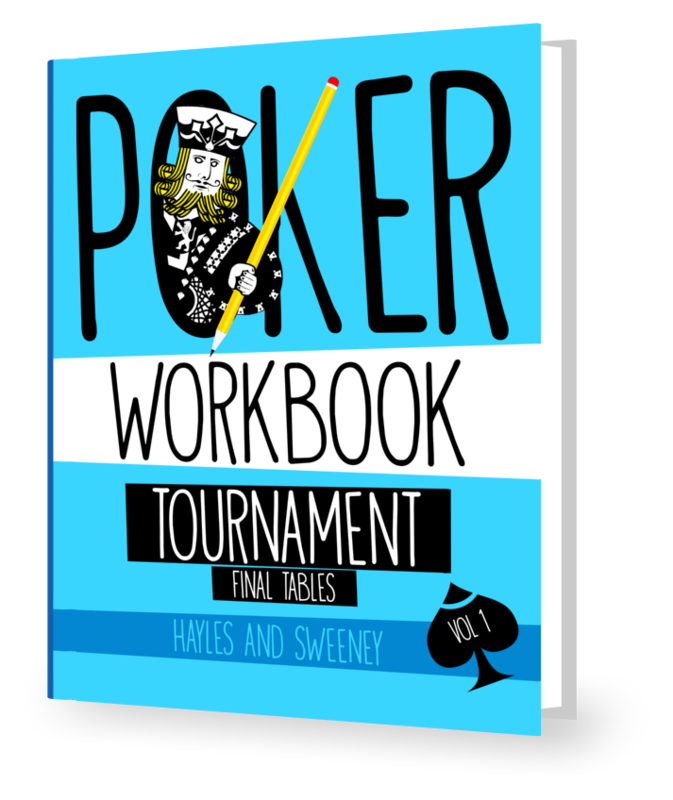 Postflop - Free excerpt from Ben Hayles latest poker book. Most of the important pots you play in you will be the preflop raiser. When you are the preflop raiser you ought normally to be making a continuation bet. C-bets remain very profitable in modern poker for the simple reason that opponents miss flops 2 out of 3 times. In most cases the C-bet ought to be 40-50% of the pot size on a dry board and 60-75% on a wet board. Tend to choose a higher size playing out of position when you do not welcome a call. This is simple, standard advice which experts agree upon and my database statistics also back up. The rest of this chapter is devoted to situations when you might want to deviate from this. Note that the % success required to be profitable refers only to the bluffing value of the bet and does not include the additional benefit of any showdown value. Monster flops include flopping a full house or 4 of a kind are often best checked. Your opponent will very rarely have connected with this type of flop and is going to check-fold the vast majority of the time against a C-bet. A C-bet will win a small pot and reduce the likelihood of winning a huge pot. Sometimes by allowing one more card to fall, the villain picks up a draw, hits something on the turn or starts bluffing and the action can start. If your opponent has a very low Fold to C-bet percentage though, it will be best to continue with a C-bet. On big flops with few dangers, a C-bet might be less profitable than a check. If you think you are going to win between 75 and 95% of the time at showdown, sometimes checking the board can induce your opponent to go bluffing at the turn or river. Later in the book I will examine this risk/reward ratio in detail. Being out of position is a huge reason for choosing not to C-bet. When you do choose to C-bet, you should often choose a larger bet size than if you were in position. 70 to 100% of the pot is often a sensible size of bet to choose as you will be far more successful in shutting down the pot early. The other way to shut down the pot early is to try and check-raise, which is a popular and risky alternative to C-betting. Check-raising can be a good strategy when you have overcards or a draw. Your opponent’s range and profile will also play a key role in helping with your decision. Wet flops which you have missed, including really horrible flops are sometimes not worth C-betting. You need to think hard about your opponent’s likely range and how likely they are to fold to a C-bet. The C-bet is probably going to be your last attempt to win this pot, so assess whether it is profitable as an outright bluff. Remember that your opponent may not be enjoying the flop too. Dry boards for pot control / limit damage in spots when you are not committed to the pot. This will usually be the case in deeper-stacked situations. Electing not to C-bet these flops is a form of pot control to avoid losing huge pots early on against a player who may be a long way ahead. You are controlling the pot to a smaller size. This is a useful ploy at the start of SNGs as avoiding going broke is a priority even if C-betting might offer slightly more +EV. 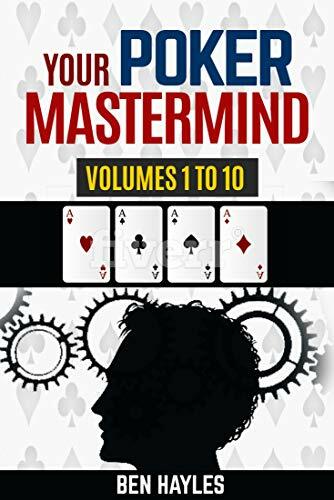 Sometimes your weakness induces bluffs on the turn or river and you are able to make more chips, but often you will end up winning or losing a smaller pot. This includes paired cards on the board which fit with your opponent’s calling range. Aggressive opponent(s) are another possible reason for showing weakness when you are strong. This category should be used in conjunction with monster flops or big flops. Many players read a missed C-bet as a sure sign of weakness and will bluff or overplay their way through the rest of the hand. On the flip side they will also attack your C-bets, so you should examine their Fold to C-bet percentage before deciding. If it is significantly below 50% you should keep betting. On flops you have missed, where it is almost impossible to make an opponent fold by making a C-bet, it may be more profitable to give up on the pot with absolutely no attempt to win the pot postflop. Multiple opponents are one of the biggest categories of flops that you should consider not C-betting into. They are complex and I will be examining plenty of them in this book. There are substantially more variables to assess, but as a general rule you should try and ensure that you have at least 6 outs as the bluffing value of the C-bet is usually reduced to around break-even and often worse. Your position is critical as a C-bet has even lower success rates playing out of position. If the tournament situation dictates that you would prefer to play a small pot, not C-betting is a means of controlling the pot size to your ends. This is especially true in ICM intense pots during SNG games when your desire to stay alive far exceeds your desire to win the tournament. Pot control is far easier when you are in position. Potential No C-bet category How frequently should you C-bet? So even within these potential No C-bet categories, you should still make your C-bet (normally 40 to 75% of the pot) most of the time. Some accomplished players like to C-bet 100% of flops for “balance” but this is a lazy solution. There is more than enough balance in a 70, 75, 80 or 85% C-betting range. That means that the hands you choose not to C-bet with are still going to be a mixture of strong, medium and weak holdings and thus keep your opponent(s) guessing. C-betting 100% of flops is good, but ultimately not as good.